When a researcher collects new data for a specific research project, the data is considered primary data. On the other hand if the data is already available in house i.e. historical data or data received from some other external sources (e.g. industry reports, internet searches, government published reports etc. ), the data is considered as secondary data. The research requirements will vary from project to project, with many research projects requiring both primary and secondary data to solve the research problem. Some research projects can be solved with the sole use of existing secondary data, while in other cases no secondary data exists and the research project can only be solved with the use of primary data. As a rule, a researcher should always try to collect and analyze secondary data before moving to the collection and analysis of comparatively costly and time-consuming primary data. In some cases secondary data may be inadequate or unusable. When the needed data do not exist or are outdated, inaccurate, incomplete, or unreliable, the researcher needs to collect primary data. Let’s take an example to illustrate the need of collecting primary data. It is a common HR practice to keep the employees satisfied for most of the medium to big sized companies as studies show that engaged employees are more productive and are better contributors to their employer’s goals and objectives. Employee satisfaction surveys (popularly known as “ESAT survey”) are done to evaluate the satisfaction of employees on key parameters such as satisfaction with senior management, immediate managers, company policies, work environment, hygiene factors and other facilities, training and development, opportunities for personal growth etc. In this case collecting primary data is a must as it is meaningless to use past ESAT survey data for the current workforce. Demographic Data—Demographic data are related to characteristics such as the gender, age, income, education, occupation, marital status, ethnicity, and social status of the target group. Demographic primary data categorize the target market into different customer segments each having some common attributes which help marketers to focus on a specific segment or create segment specific marketing strategies. For example a fast food (e.g. pizza, burgers etc.) brand may find that preferences of people in the 20–30 age group are different from the preferences of people in the 30–40 age group. 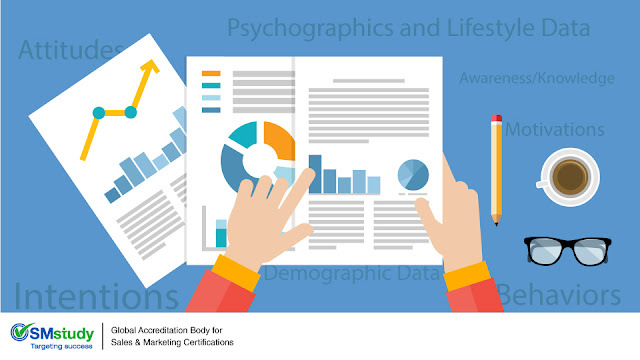 Psychographics and Lifestyle Data—This kind of data is related to personality traits, interests, lifestyle, values, and opinions of the target respondents. Marketers often combine psychographics and lifestyle information with demographic information to obtain an important perspective of the target market. Intentions—Intentions refer to the anticipated future behaviors of an individual. This is a subject of interest to marketers who want to solve a research problem related to future consumption rate or demand. Attitudes—Attitudes refer to a person’s feelings, convictions, or beliefs toward an object, idea, or an individual. Since attitude impacts behavior, it is of great importance to marketers. Awareness/Knowledge—This data refers to what subjects do or do not know about an object of investigation. Information influences behavior and marketers often want to know how the behavior of customers changes with their level of awareness regarding a particular product, brand, object, or industry. Motivations—A person’s actions are the reflection of his or her inner state. Marketers often want to know the motives that direct specific consumer behavior. Motivations can include users’ category, brand-purchasing motives, value systems, and perceptions among others. Behaviors—Behaviors are the actions taken by respondents. Questions regarding respondents’ behaviors toward a particular situation can be asked to them directly and can be included in a survey. However, the responses may not represent the actual behavior of the respondents. Observation techniques are more often used to understand the actual behavior of respondents. Purchase behavior is also an important factor; when considering purchase behavior, marketers might categorize consumers as non-users, potential users, first-time users, regular users, or former users. To know more about primary data, visit “SMstudy”.